November 17, 2018 By Elise Leave a Comment This post may contain affiliate links. Please read my disclosure policy for more info. …And just like that, Thanksgiving is less than a week away. Yesterday my sister in law sent out her annual Thanksgiving dinner invitation, and we all started planning our contributions. Which means I need to start planning the logistics our trip to Nashville, and how we’re either going to transport food, or make it while we’re there, because just because you live a long day’s drive away doesn’t mean you get to skip your Thanksgiving dinner contribution. I’m pretty lucky that almost my entire family lives within an hour of each other, so I’m able to crash someone’s kitchen and get some pie making done, but on Thanksgiving day, there is still limited oven room, and a crowded kitchen. 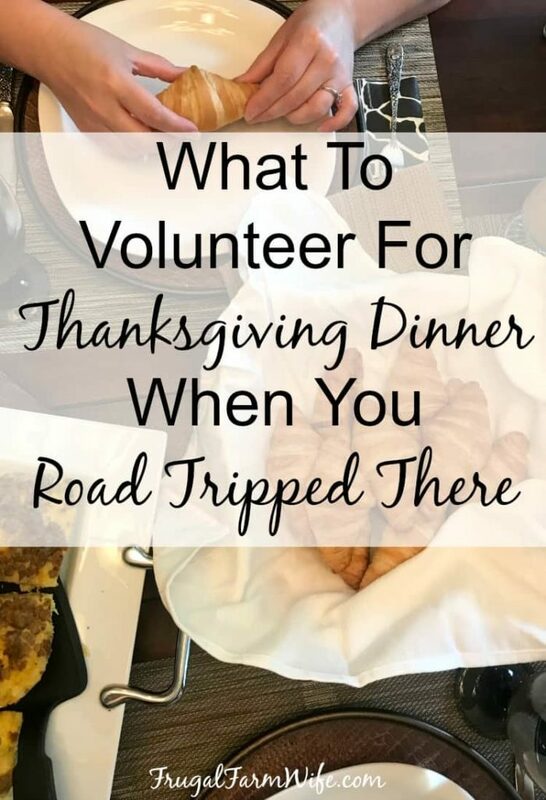 Since I’ve been traveling for thanksgiving for about a decade now, I’ve gotten a pretty good idea of what is easiest to contribute when you’re coming off a road trip, and I wanted to share it with you in case you’re traveling this Thanksgiving. Stuffing. You can transport the dehydrated bread, (or buy it once you get to town), borrow a skillet to sauté your seasonings, or use your instant pot if you have one, or even the hotel microwave if that’s what you have to work with, and then toss it all in the slow cooker for the big day. Cranberry sauce. Make ahead and freeze, then transport in a cooler. Green bean casserole. Throw the ingredients in your slow cooker and voila! Gravy. Everybody knows you have to make gravy at the hosts house anyway, so if you’re traveling, that’s an easy one; all you need to bring are a few ingredients. Ham. Make sure it’s a smaller one, so you can cook it in your slow cooker. Salad. Buy the ingredients at your destination, and toss them together right before dinner. Easy peasy. Slow cooker. Most kitchens have limited oven space on Thanksgiving day thanks to oven hogs like turkey, so be sure to bring your slow cooker to cook and keep your contribution warm. It’s how I plan to keep my stuffing warm, my sister plans to keep her mashed potatoes warm, how I plan to cook my ham, and it’s also great for keeping gravy, homemade rolls, sweet potato casserole, and who knows what else warm. 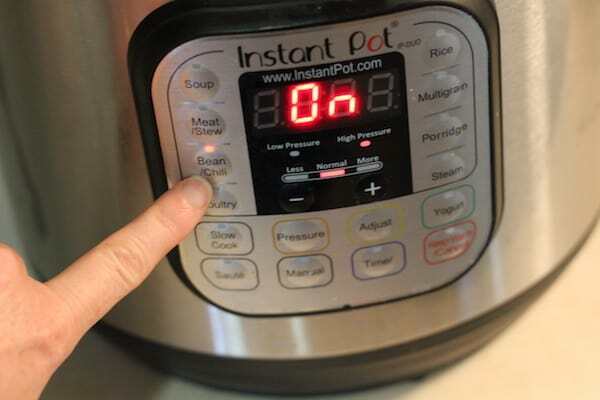 An instant pot with its sauté and pressure functions is even better and more versatile. Disposable pie plates and refrigerated pie crust. I’m making pies 800 miles from home this year, so I’ll probably be committing the unpardonable sin and buying both pie plates and pie crust. It’s really not that hard to contribute food to a feast even though you’re out of your kitchen comfort zone when you know what to take!